Play Captain's Booty online for free now! Arr! 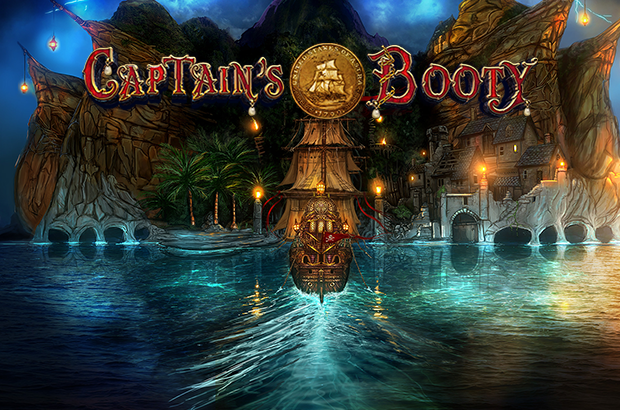 The gameplay of the slot machine Captain’s Booty in our online casino sets new benchmarks. This game is not suitable for landlubbers: only hard-nosed privateers will fetch big prey in this slot with 5 win lines and 3 reels. 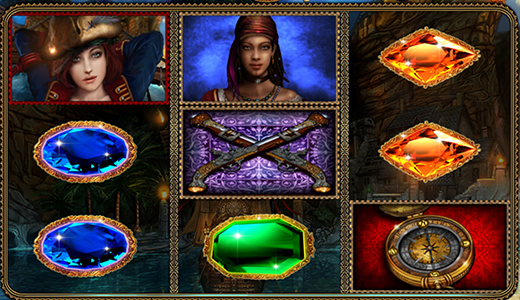 This slot is all about pirates; just look at all the swashbuckling symbols! The most valuable symbols are the Pirate Ladies followed by the Compass, Crossed Muskets, the Parrot and a vast selection of colourful Gems. Your aim with Captain’s Booty online is to land at least 3 matching symbols side by side from left to right along one of 5 win lines. The paytable shows the prizes for the respective bet placed and number of lines. All line wins in this slot are multiplied by the stakes per line. Freebooters love previous stones – the more, the better. This rule also applies for the Novoline slot machine Captain’s Booty online because if you succeed in filling the entire screen with 9 colourful gems you are in for a treat: all of a sudden, the reels are covered in dense smoke. Shortly thereafter, the fog lifts and a pirate ship under full sails appears and then disappears in the haze and releases the reels. And before you know it your treasure chests are restocked! There’s just one more thing pirates love as much as gems and that’s a gamble. In other words, the gamble game is tailor-made for real buccaneers, because it offers the chance to double your winnings. However, in the slot machine Captain’s Booty online it is only available if you don’t play in autoplay mode. In addition to that, the win has to be at least 500 times the total bet and the maximum win with the gamble game is 1000 times the total bet. 15 men on a dead man’s chest! Yo-ho-ho and a bottle of rum! The anthem of freebooters around the world gives you a taste of a slot machine with cult status. The game Captain’s Booty offers everything a pirate’s heart desires (except for rum...): pretty Pirate Ladies, Muskets, Compasses and plenty of colourful Gems. And as you would expect: the Pirate Ladies fetch the largest winnings, but the other symbols are nothing to be scoffed at either. Especially the gems are a force to be reckoned with, because 9 of them trigger the bonus game. So let’s go: hoist the Jolly Roger, grab your sabre and embark on a profitable adventure!